Adweek has developed a new Agency Membership program designed specifically to help agencies thrive in a crowded, competitive marketplace. 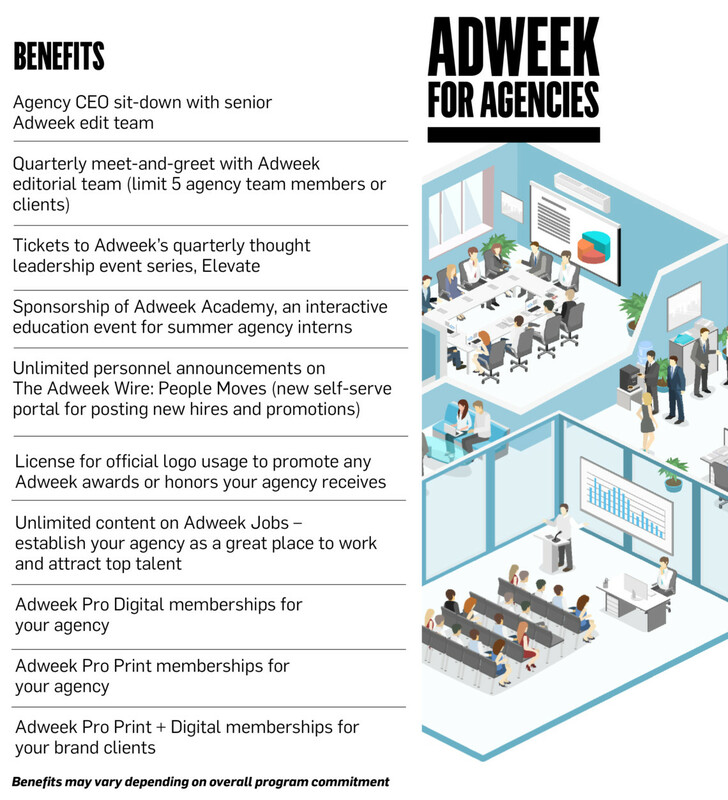 With benefits including face time with Adweek editors, Adweek Pro memberships for your entire team, free job postings on Adweek Jobs and free tickets to Adweek events, being a part of our membership program gives your agency a distinct advantage. To learn more, please complete the form on this page.